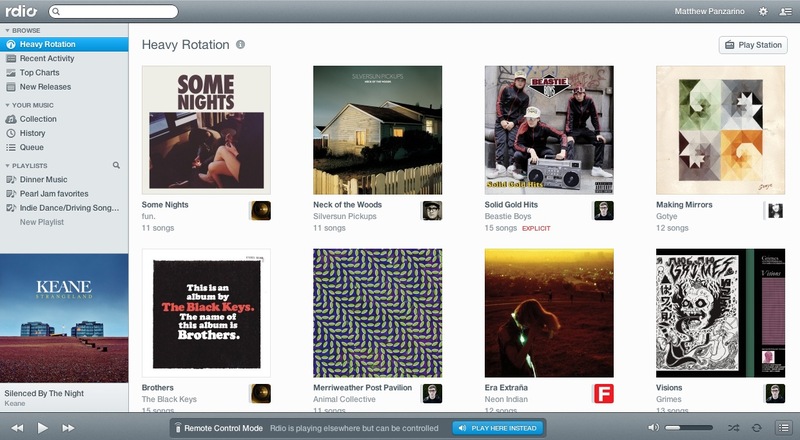 Streaming music service Rdio has launched its new version on Mac and Windows browsers and via its Mac and Windows apps. The new version has been completely redesigned to put music and albums ‘front and center’, as well as to make sharing easier. You can check out the new version of the service at Rdio.com or via the updated apps. The new browser-based version of the app has a refined look that brings it more in line with the desktop apps. The two versions are essentially identical now, although the browser-based version does run significantly slower for me. If you’re new to the ‘new Rdio’, then you may find it harder to see your own personal ‘heavy rotation’, as the main Heavy Rotation section has been taken over by album covers that are captioned with a thumbnail of the user you can blame for it being there. In order to get your own personal list of crimes against music , click on your name in the upper right corner. While it’s not as extensive as the previous list, it will give you the last few things you listened to at least. A new look and feel — More than just a boring spreadsheet of songs, new Rdio puts music and people front and center. All in one place — Spend less time navigating. Music, playlists and your network are in one view. 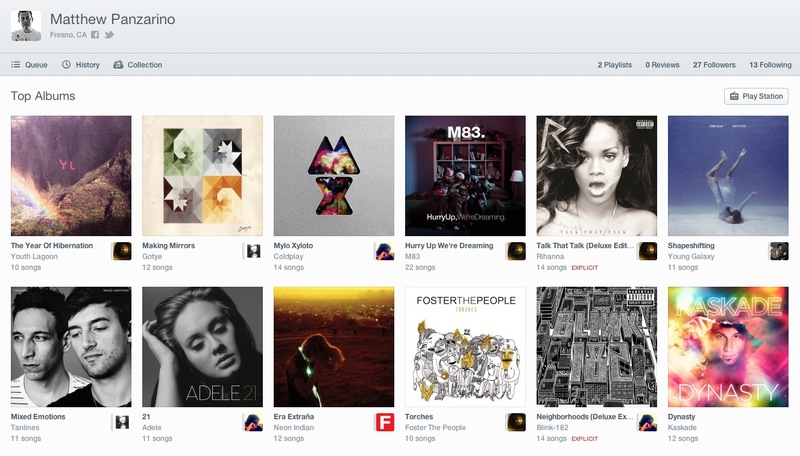 Add entire albums to playlists — One of Rdio’s most-requested features is now a reality. Browse even faster — Find music at lightning speed because pages remember your place. Browse a continuous stream of albums, explore one and easily return to the place you left off. Listen with your network — From the People Sidebar, see what your network is listening to in real-time and listen along with one-click. Let your network inspire your listening — Wondering if you’ll like an album in the charts or why it appeared in your Heavy Rotation? Under every album, hover over photos to see exactly who listened to it. Sharing made simple — Drag and drop music into playlists or collection and share with others on Rdio without missing a beat. Music can also be shared on Facebook, Twitter or via email. Create private playlists – In addition to public and collaborative playlists, now private playlists can be created and shared with just a select few. Easily discover people to follow — Check out Rdio’s latest music influencers in the People Sidebar and find others to follow such as artists, critics, record labels and brands.